Finding your Dark Souls 3 best starting class can be a tough task. 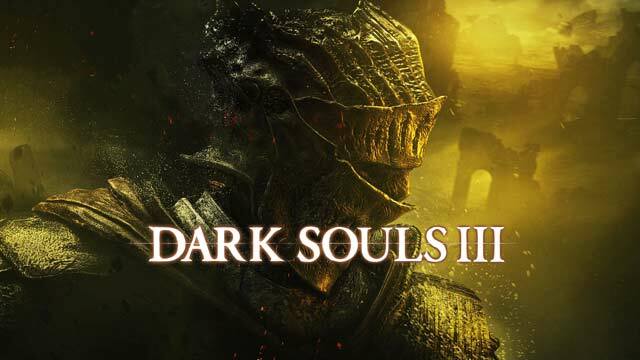 There are plenty of challenges that await you in Dark Souls 3, but the very first and perhaps most daunting challenge is that of choosing a class and creating your character. When you first start Dark Souls 3, you’ll build your character by choosing how it looks (you’ll be able to change your character’s appearance sparingly throughout the game), as well as choosing the starting class from ten available classes. 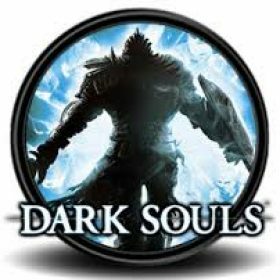 Many gamers were introduced to developer FromSoftware’s iconic difficulty with Bloodborne, but the difference in Dark Souls 3 is that your starting gear is different from class to class, so it’s important, at least in the early stages, to pick the right class. The character you create at the start has significant bearing on your first 3-4 hours of play. Your starting class will more or less shape how you approach the game in the early stages, but your initial character customisation is more about gender and appearance. Your starting attributes are important, but you can change these throughout the game. When you choose a class at the start of the game, you should treat it only as the starting point for your experience. The way you build your character — stat allocation, equipment and upgrades — serve as continually changing and evolving aspects of your character that have little bearing on your starting class. It’s important to understand attributes and what bearing they have on your character before you jump in. Here’s a quick rundown of each major character creation attribute. Level Level is acquired by using Souls to upgrade, which gives you points to upgrade attributes. The higher your level, the more you pay to level up.TIP: Start on a lower level class to help broaden your attributes faster. Souls Souls act as currency, which is used to upgrade attributes. In typical Dark Souls fashion, these Souls are incredibly vulnurable, as dying will see you lose whatever ones are yet to be claimed. You can reclaim them once, but die a second time and you’ll lose them forever. Vigor Vigor represents hit points. The higher your vigor, the more hits your character can take. Attunement The higher your attunement level, the more spell slots you have. If you’re focusing on a magic character, Attunement is one attribute you should focus on. Endurance Endurance is related to stamina. With every hit, swing and slash, your character loses stamina, which in Dark Souls is very, very bad. The higher your endurance, the longer your character will be able to fight at the highest possible standard. Vitality Improves physical and poison resistance, as well as determines available equipment load. Strength Improves fire resistance, and determines which heavy weapons, armours and shields your character can wield. Dexterity Determines advanced weapons that your character can weild. Intelligence With Attunement, Intelligence is an attribute you absolutely must focus on for a magic-based character. Increases potency of spells and boosts magic defence. Faith Faith works alongside intelligence in casting Miracles and Pyromancies. It also calculates your dark defence, and enhances the damage of Faith scaling weapons. Luck Improves curse resistance, improves item discovered, increases potential to inflict bleed and poison statuses. Now that you understand the basics and attributes, it’s time to start creating your character. There are ten characters overall, each with a varying range of attribute rankings and qualities. If you’re new to Dark Souls 3, I’d have to recommend the Knight class. You could certainly go any other way if you wish, but the Knight class gives you the best spread of attributes and is probably the most accessible class for those new to the Dark Souls experience. With a bit more Dexterity than other classes, the Assassin class is arguably the most rounded of all classes in the game. Its Intelligence rating is high among melee classes, give it a unique twist in that range. The Assassin class is a good starting class because you can learn the fundamentals of melee and then work your way towards Sorcerer class attributes later on. It offers some great gameplay variety. The Cleric class is probably suitable for more experienced players, but it’s certainly not impossible to master. With a high Faith attribute rating, two miracle spells and a basic axe, there’s a nice starting variety of melee and magic here to start the game off with. The Cleric is useful as a healing class because you can use miracles to heal instead of relying on the rare healing items in the game world. The trick, however, and this is where the experience part comes in, is that you need a high FP gauge in order to cast spells, which means you’ll need to stop at bonfires more regularly than with other classes. If you’re beginner, you definitely don’t want to start here. As the name suggests, this character class is “deprived”, starting on level one with essentially no equipment and melee weapons that are falling apart. There’s no reason why you should select this class if you’re a Dark Souls beginner. You might want to embrace the challenge, but it would be impossible to balance the need to find new weapons, boost your vitality, and actually avoid enemies long enough to build your character up. Only for Dark Souls veterans. The Herald class is great for beginners because you start with a shield that absorbs 100 percent physical damage. You have a healing spell and corresponding talisman to help with healing, and is a high Faith class. Red Sign Soapstone A Red Sign Soapstone places a sign and invites anyone who is willing to battle. Travel to the Cathedral of the Deep. Inside the cathedral you’ll cross a bridge that leads into the chamber of Rosaria. Slay the filthy Man-grub to earn the Red Sign Soapstone. Red Eye Orb A Red Eye Orb is used to invade targets who have a Strength of Fire. Killing the host will earn the invade the Strength Of Fire. You can earn a Red Eye Orb via the NPC Leonhard. Fight the Darkwraith and recieve the Orb. Cracked Red Eye Orb Same as a Red Sign Orb, however only one-use. Starting with the Knight class is really a no-brainer. You start with the best starting armor that absorbs 100 percent physical damage, so any successful block against a physical attack won’t sustain damage, which is great. Starting with a high Vigor rating is good as well, and helps make this the best class for beginners. Vitality isn’t very high but you can increase that to change armor and weaponry as you progress. This class is perfect for dual swords and ranged weaponry. With a high Dexterity stat rating, ranged weapons are the preferred tool of choice. Ranged weaponry is important for new players because you can often be surrounded by multiple weapons at once, and will need to create space between your character and the enemies. The only downside of this class is a lack of a proper shield due to the dual-wield, which puts the class firmly in the mid-range experience level. You’ll start with a pyromancy weapon and spell with this class, along with a short-range axe and shield. A nice Strength stat level makes axe attacks particularly effective. This class probably isn’t ideal for beginners, however, because it takes some skill to balance between Intelligence and Faith in order to hone in on the class’s pyromancy spells. It’s not an impossible class for a beginner, and it would present an interesting and rewarding challenge, but it’s not recommended. This is another class that might just be outside the skillset of a beginner. The basic sword and shield alongside two sorcery spells are useful, and the high Attunement and Intelligence stat levels making it a powerful spell-casting class. The challenge, however, is that the FP gauge is used to cast spells. To replenish that you’ll need to use Ashen Estus Flasks, which cut into your normal Flasks and hurt your healing ability. It’s a tough balancing act perhaps not suited to a beginner. The Thief class is another tough balancing act that may be outside of what beginners are capable of in the early stages. The class starts with a dagger, which has limited range but is good for silent, quick attacks from behind an enemy. Getting behind an enemy is tough enough and would be near impossible for a newcomer. The class also comes with a bow and arrows, and these arrows can be bought with Souls, which you’ll be spending a lot of. The high Luck rating means you’ll get better item drops, but the class is still heavily reliant on a sound and experienced knowledge of the Dark Souls combat system. The Warrior class is actually not a bad class to start with as a beginner. You have the highest Strength stat (obviously), which is great for heavier, slower and more powerful weapons. The Warrior class is also great for wielding two-handed weapons such as greatswords and ultra greatswords. Burial Gifts – Which One Should You Choose? Along with creating your class, when you start the game you’ll also be given a Burial Gift, which is an item you’ll start your adventure off with. Here are the Burial Gifts available to. This is a one-time-use firebomb than works well against most enemies. A one-time-use item allows you to invade a player’s world and kick-start a player-vs-player battle. This fully restores your health gauge and removes all status ailments, but can only be used once. Use this item to upgrade a weapon with the power of fire. One-time-use. Restores your FP gauge. One-use only. Equipping this ring will increase your health gauge. Your health will be higher than normal when equipped. Highly recommended. Increases your Luck stat, which is useful when farming for items. One-time-use. Gives you a number of extra souls to level up your character and purchase items. One-time-use item lets you blend into an environment and avoid enemy detection.